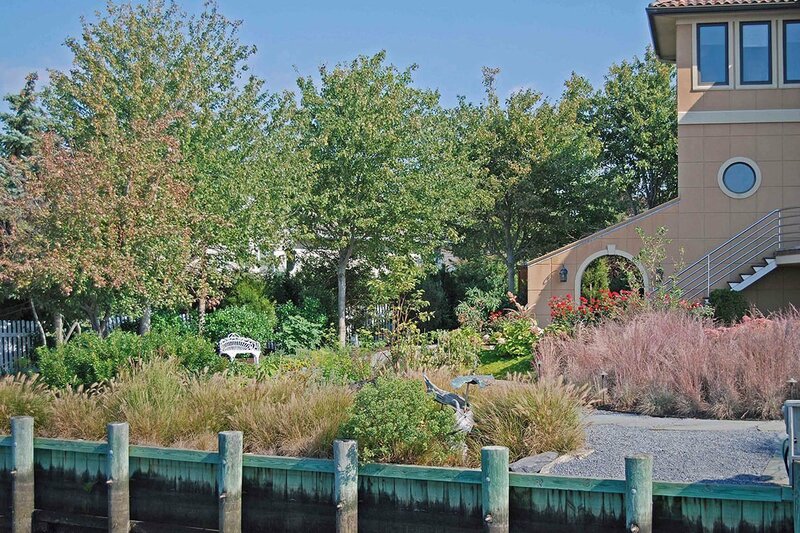 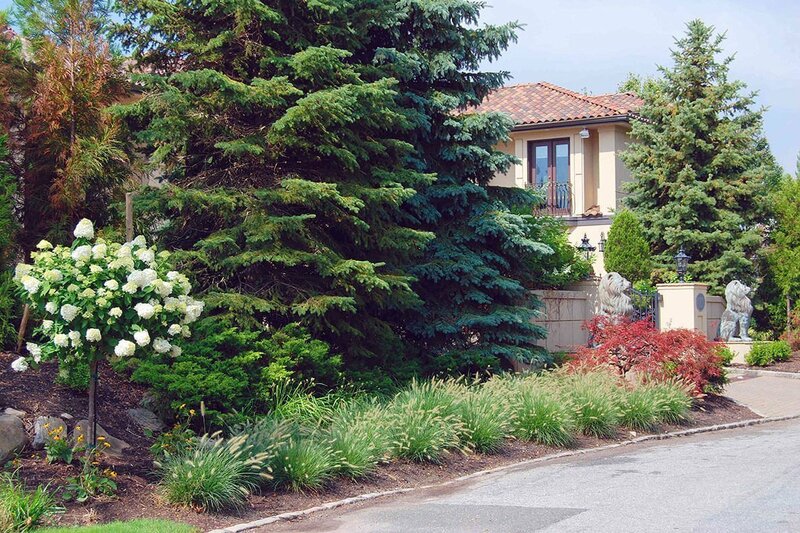 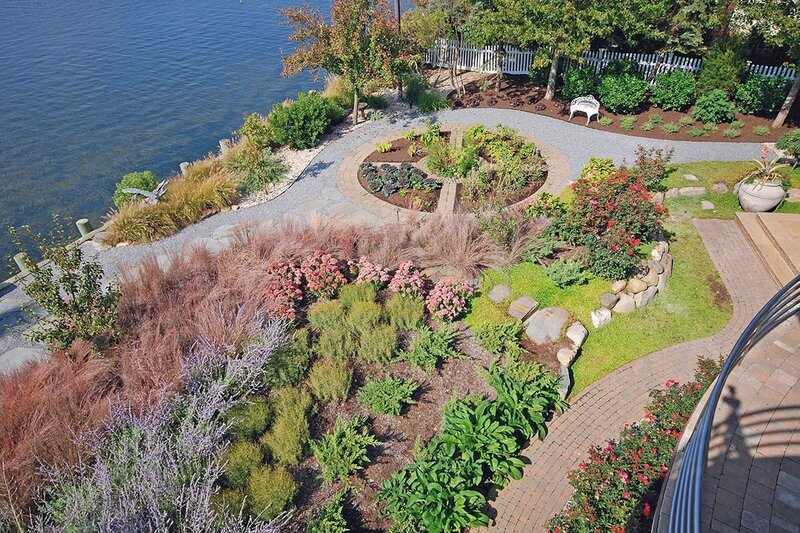 Seaside Sustainability | Goldberg & Rodler, Inc.
A seaside landscape we designed many years ago was one of the many in Sandy’s devastating path. 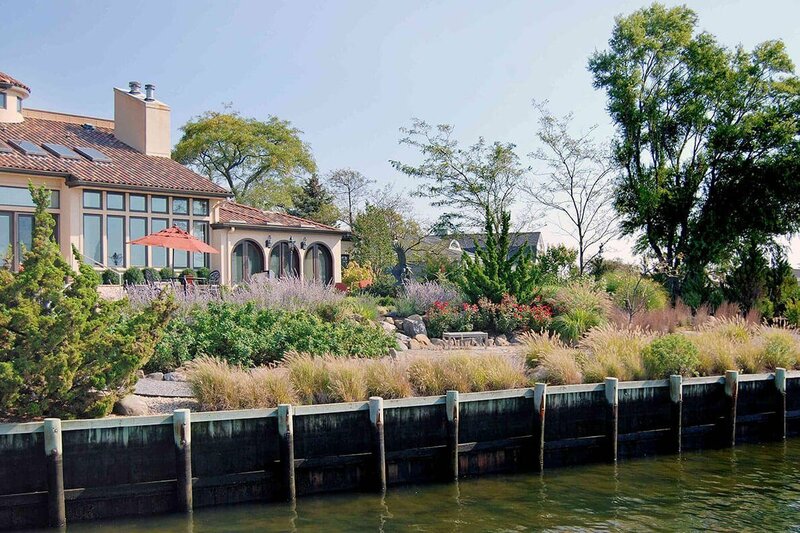 A once pristine waterfront retreat had become a horticultural nightmare and remained susceptible to future damage. 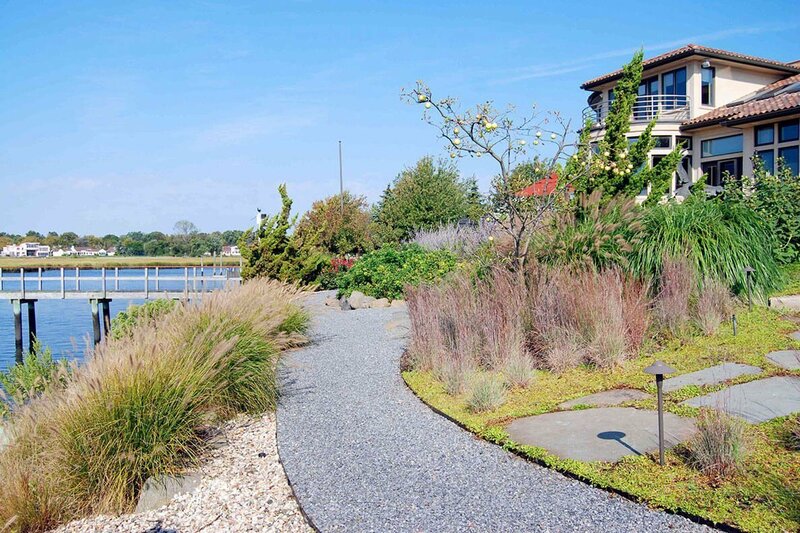 The first priority was to water the property heavily to begin leaching the salt from the existing soil, then re-grade the site to prevent flooding while maintaining easy transitions through the property. 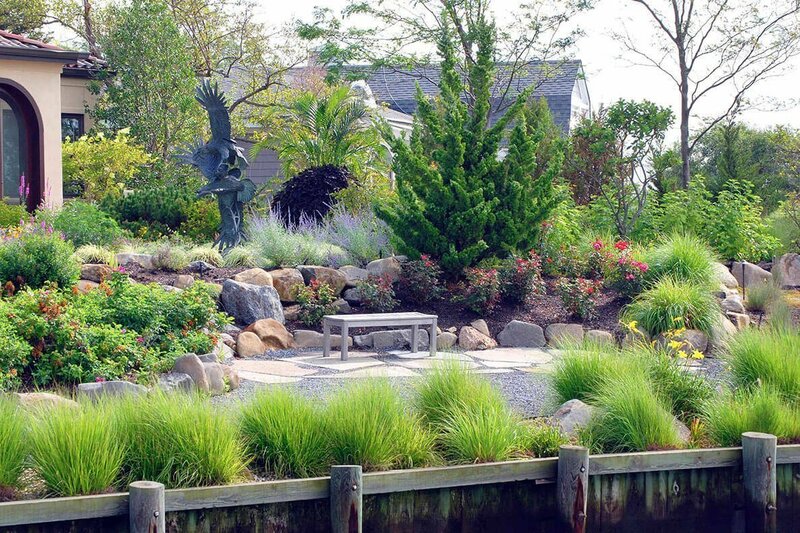 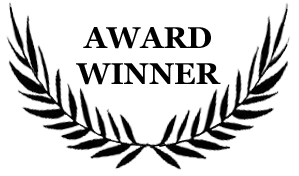 After addressing the tidal surge and stormwater runoff, the next priority was sustainability. 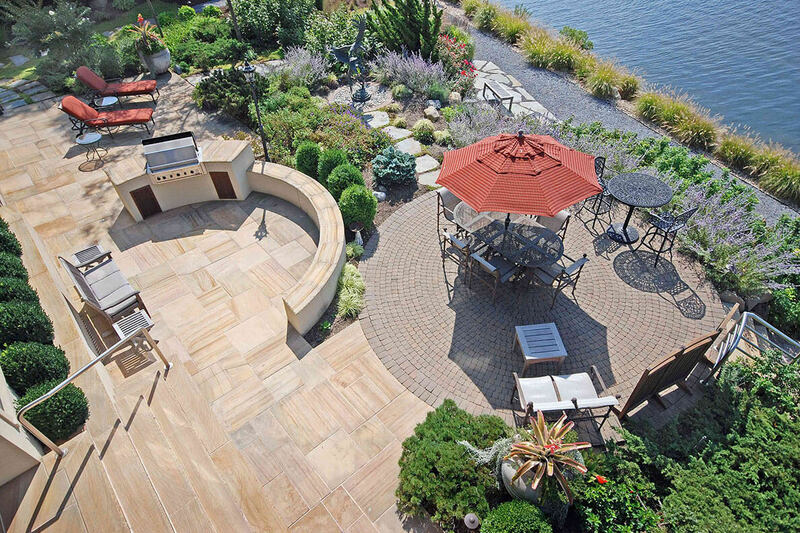 The new design replaced the lawn with a combination of Blue Star Creeper and permeable bluestone gravel walkways and sitting areas. 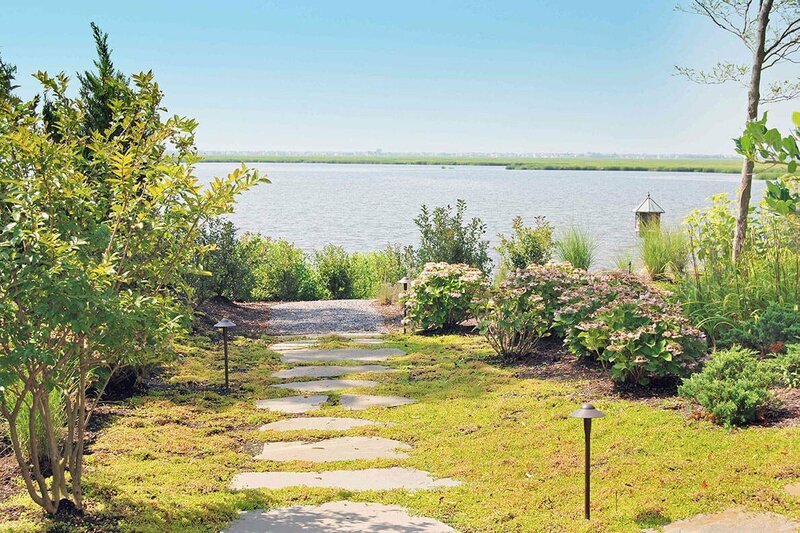 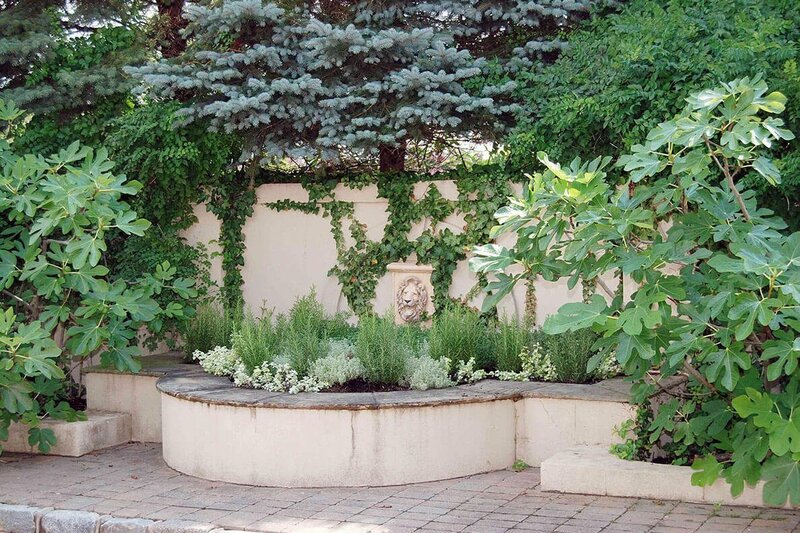 Time has proven that the property is protected from the potential wrath of Mother Nature while evolving into a sustainable garden that meets the client’s functional and aesthetic needs while showcasing the breathtaking water views.